There is something incredibly satisfying about helping your kids to use their imagination, and building things from scratch and watching them turn into things is so much fun! 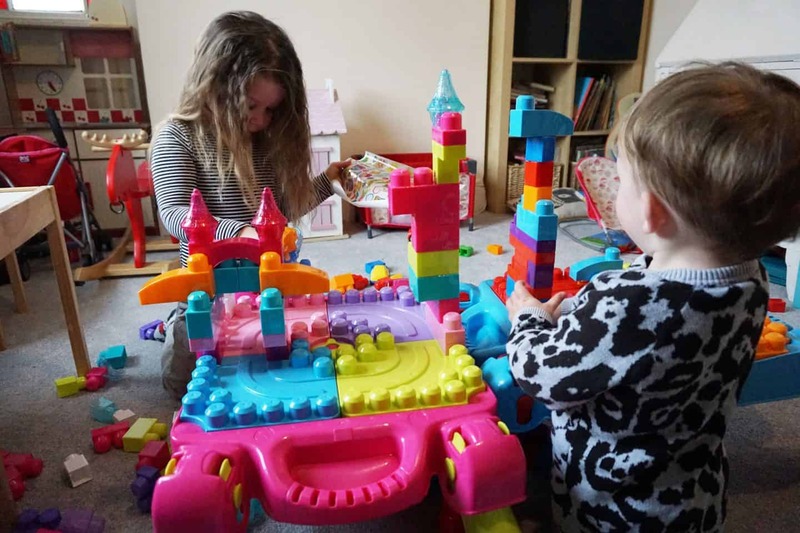 MegaBloks are the perfect first foray into the world of construction for kids; easy to grip, easy to put together and pull apart and make pretty much anything you want to! They come in lots of bright colours, different shapes and have themed accessories available too. 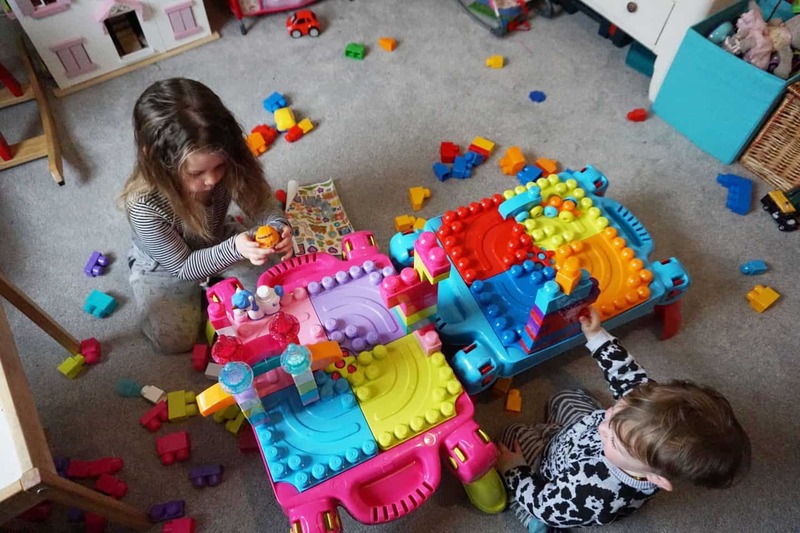 My lucky pair were sent a MegaBlocks Build n Learn table and a pack of bricks each, so along with the bloks that came with the table they had more than enough to get going with, so added to the Mega Blocks that we already had there are endless possibilities for playing and building. The new Build n Learn tables are ideal because previously Athena built things on top of her little table but when she wanted to use that for colouring or eating at we had to take off her creations which often fell apart, or she’d build on our thick carpet and get annoyed that things didn’t stay up! The tables are cleverly designed to pack flat for carrying, hold some bricks inside and also give a good sturdy base at the right height to build up from! 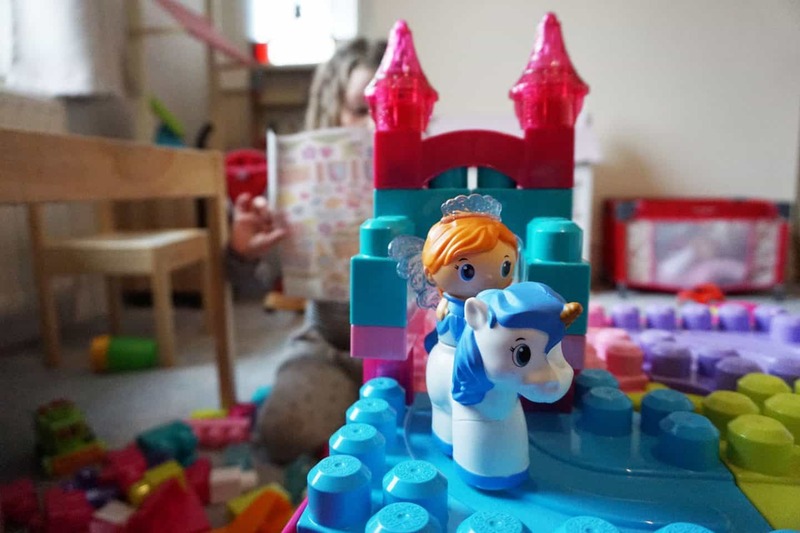 Arlo’s table came with two little interlocking train type things with wheels, and Athena’s set came with a unicorn and a princess, along with some sparkly turrets and blocks, with pink and lilac bricks. Now I really dislike the whole sterotypical ‘toys for girls or boys’ thing and wish all toys were marketed for both boys and girls. I have always told Athena she can play with cars and trains if she wants to, and she did when she was smaller, but as soon as she started nursery and then moved onto preschool she’s become super girly so the glittery bloks and princess were right up her street! 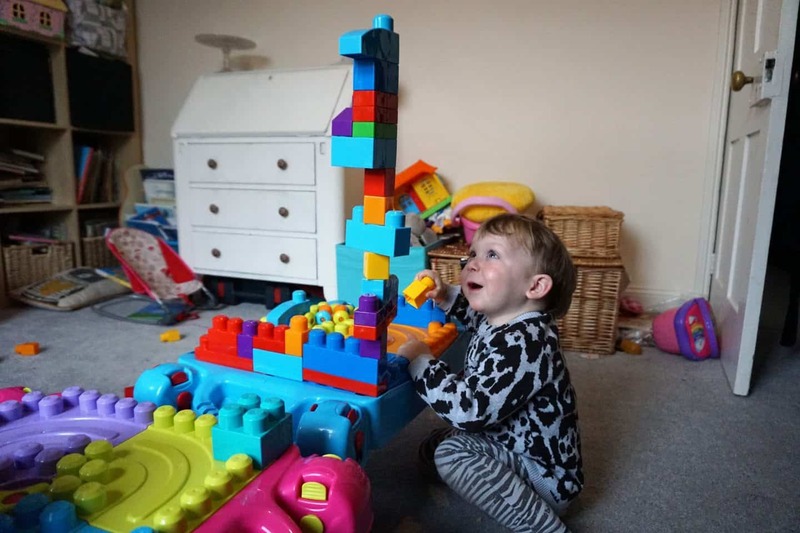 Arlo actually loves them too, when she lets him play with ‘her Noonicorn’, though of course he fits the boy stereotype and blooming loves anything with wheels! I can see why toy manufacturers carry on producing so overtly ‘girl’ and ‘boy’ toys though I wish they didn’t have to! 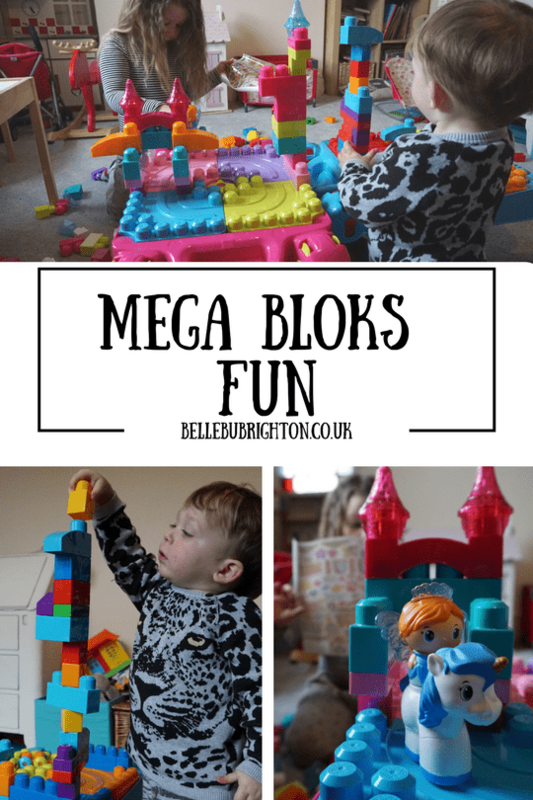 Anyway, I digress… We’ve been playing with Mega Blocks for about a week now and they’re still the first thing to be played with in the morning and the last thing before bed. I’m making a conscientious effort to not have a TV or tablet screen on all the time and it’s being made far easier now the kids both have something that they love playing with, because there is so much scope for using their imaginations they get bored far less easily! 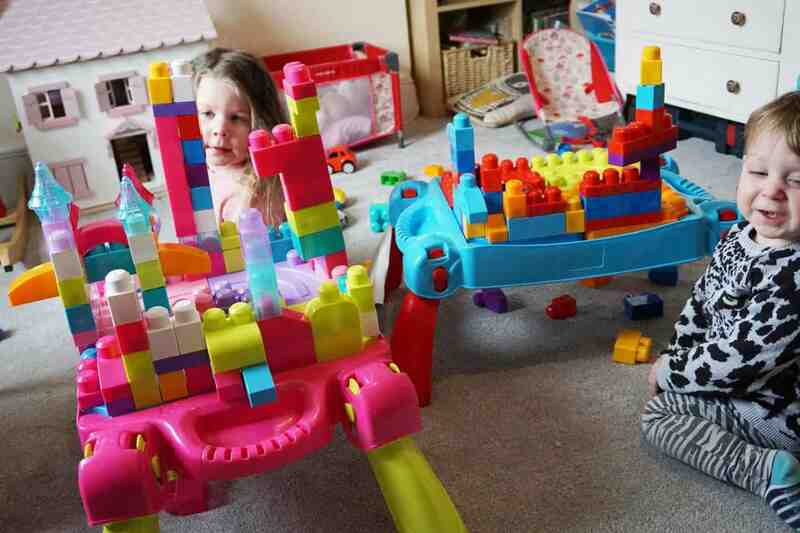 Athena has been using MegaBloks since she was about 18 months old, and I can’t see her getting bored of them yet! Together we’ve been building towers, tunnels, bridges from one table to the other and so many more things. We also take MegaBloks into the bathroom too, they’re perfect bath toys as they dry easily and quickly with no little nooks and cranny to potentially get mouldy in like traditional bath toys, plus they float and turn into little boats! 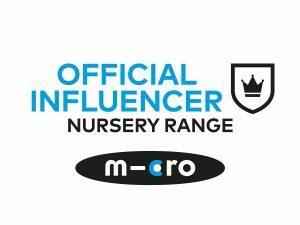 Netmums have got a bundle of various MegaBlocks toys to giveaway over on this page too, it’s open until April 16th 2017. You can see the full range on the MegaBloks website. 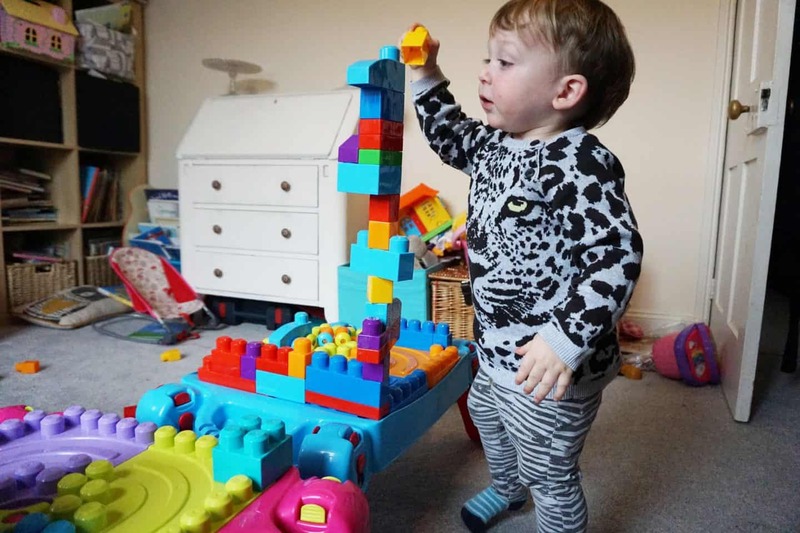 Thank you to Netmums for sending us MegaBloks to expand our collection and give us even more hours of fun! All words and opinions are my own.